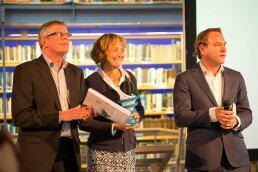 The “DIG-it award” is granted each year to the best research the TU-Delft has to offer. 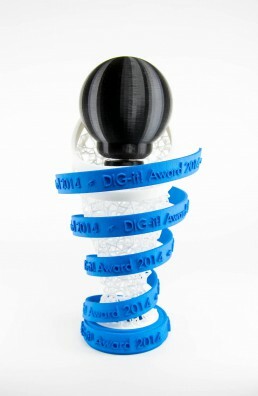 The task was to incorporate the values of the competition into a 3D-printed award. Additionally we were also asked to print a set of 500 3D-printed glow in the dark LEGO bricks to be presented to attendees at the end of the event. We used different 3D-printing techniques to fabricate the individual components of the award, illustrating the innovative and diverse side of the competition. The award represents technologies role within society, driving it forward in an ever upward spiral of progress.